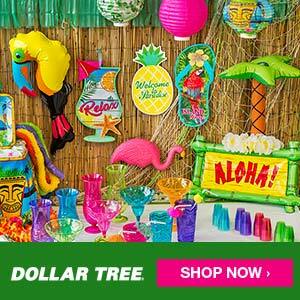 Today’s craft project is all about reusing items I already own. 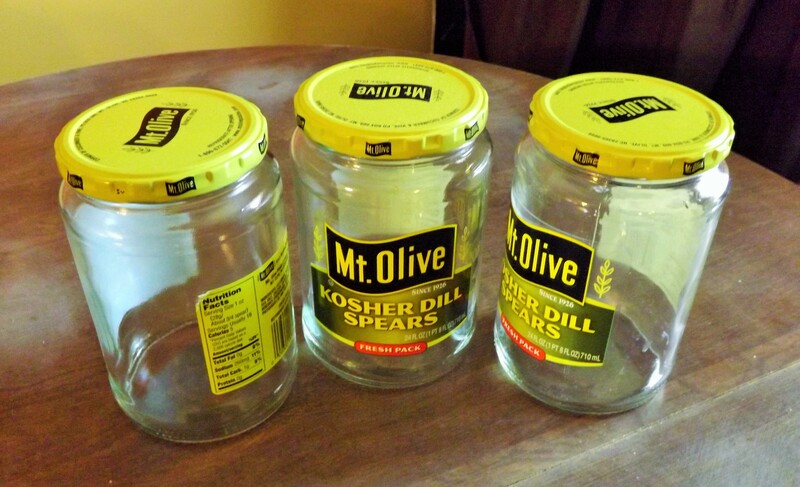 My family and I are fans of pickles, and I like to save the pickle jars after they are empty because I know I will use them for future craft projects. To get rid of the pickle smell, I let the jars soak overnight in a mixture of warm water, bleach, and dish detergent. I also used a mixture of baking soda and vegetable oil to remove the sticky residue from the labels. Next, I began painting the lids white. 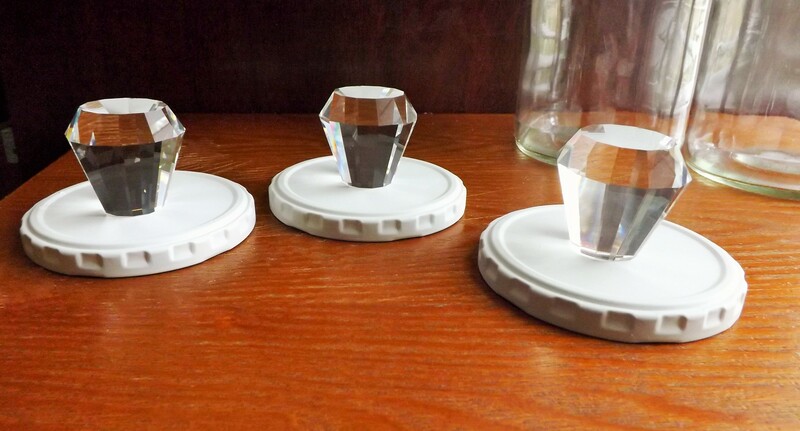 After the paint dried, I glued these crystal knobs on top of the lids with super glue. The knobs are part of a set of table number card holders. 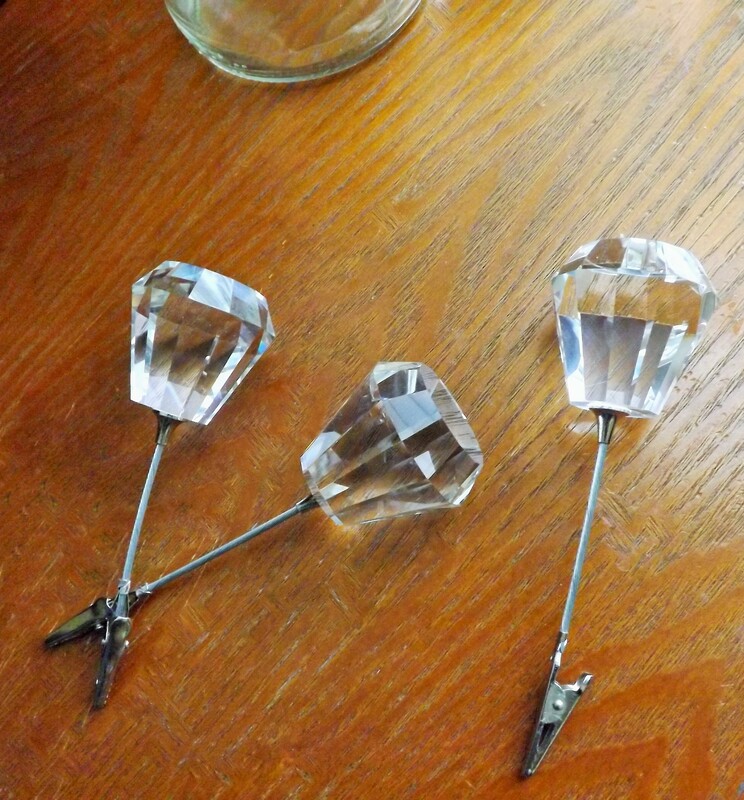 All I had to do was pull off the stem from each crystal knob. 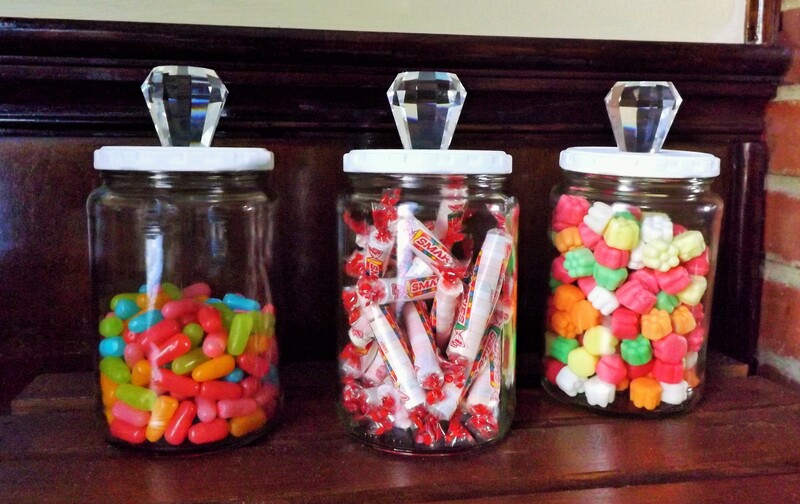 I added candy to the jars once the glue on the lids dried. I made sure the candy was extra colorful! There are so many uses for these jars. I can either put them on my desk and fill them with small office supplies, store them in my bathroom and fill them with toiletries, or use them in the kitchen as canisters for storing sugar, snacks, etc.